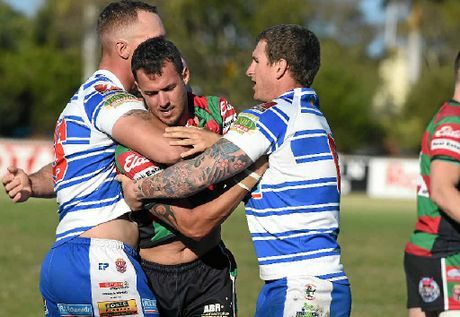 Hervey Bay Seagulls have endured months of painful preseason training to ensure they are primed ahead of what they want to be a premiership-winning year. They open their season against Past Brothers, the side that crushed their premiership dreams in 2015 and could be their main threat for this year's title. Captain Clinton Horne confirmed his Seagulls teammates were ready to rip into it. "It's always good when you play Brothers," Horne said. "It's a grand final rematch so hopefully we can get one back over them. "Round one has been a long time coming. We've had a good preseason, a good trial match win and the boys are feeling confident." up including prop Simon Hawthorne and second-rower Kevin Tranberg. New five-eighth Caleb McLean is arguably the most important to Horne given the club's success will ultimately depend on how well they play together. "It's good to have a six there which takes pressure off me," he said. "We went pretty well in the trial match and gelled pretty well, so touch wood we can go good on Saturday." Tranberg, a noted hard-hitter, could be equally influential given he will defend alongside Horne. "He can tackle pretty well so hopefully he can do a few tackles for me and save me from defending so I can just attack," he said. Stafford Park will host more than eight hours of rugby league today. Maryborough Brothers and Isis Devils start the day with their reserve grade clash at noon, followed by two more reserve grade games. Wallaroos meet Wests Panthers in A-grade at 4.30pm and Hervey Bay and Past Brothers at 6.30pm.